Sure to be a bedtime favourite for years to come, our Ranga 33 brushed cotton fabric showcases a big but suprisingly subtle check with orange, blue and white lines featuring across a beautifully soft burgundy base. Ideal for the cooler months, this modern classic will last the years. 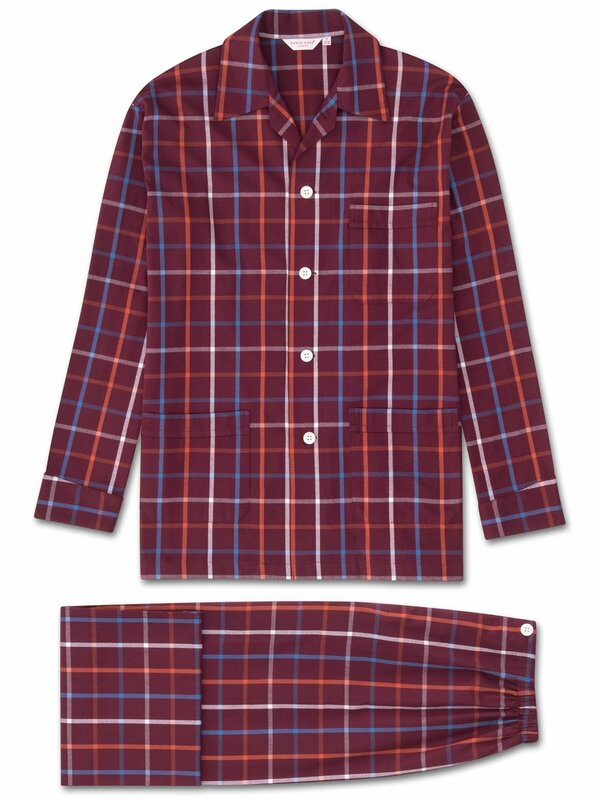 Trust us, you'll want to jump into this pyjama as soon as you get home.